Xiaomi has plenty of products under its banner, thanks to its many subsidiaries and investments in device makers. A lot of these products don’t quite fit convention and that’s the case with the latest product too, which sounds bizarre at first, but actually makes sense. 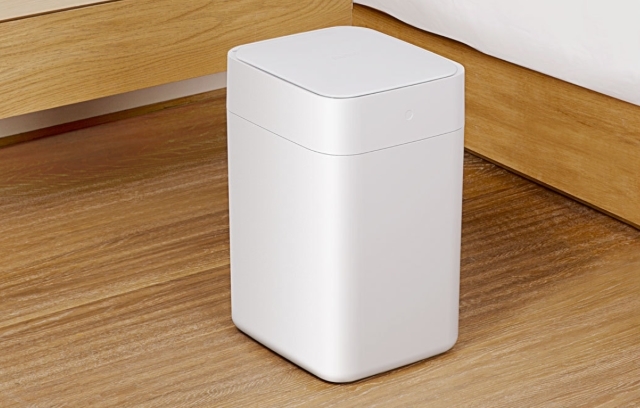 As part of its Youpin crowdfunding platform, Xiaomi has now launched a new Smart Trash Bin. As the name suggests, it’s a trash bin that is smart. No, it won’t dispose off your trash automatically for you, but it does have some smart features that make sense given the name. For starters, the main feature of the trash bin is the lid which opens automatically using induction. The lid of the bin is airtight and so it can effectively block odor, and presumably also ensures that there are no flies or bugs around. The device comes with a smart sensor which detects the human hand or other approaching objects within a distance of 0-35cm. When it senses an object, the lid swings open and so you won’t need to touch it at all or even bend over. The list of smart features doesn’t end there. The smart bin can also automatically package the waste when it is full, and even replace the waste bag when the old one is removed. The trash bin itself weighs 3.5kg, is 40cm high, and has a 15.5L capacity. However, the overall look of the device is quite neat, thus allowing you to position it anywhere in your room without the fear of the product looking obtrusive. The Smart Trash Bin is priced at just 199 yuan (Rs. 2,000) and is available on Xiaomi’s Youpin platform. The product is expected to start shipping on September 11.